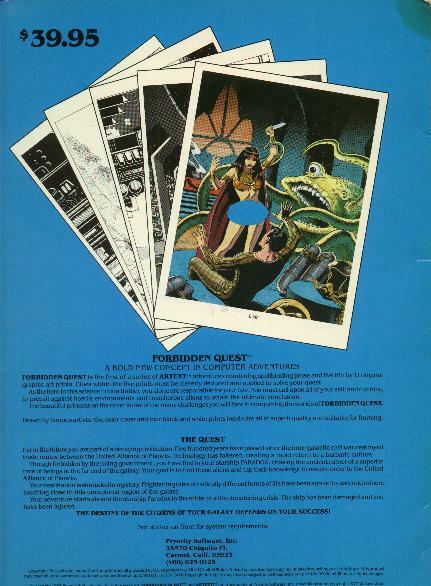 Founded by and named after William Pryor, Pryority Software released at least two adventure games around 1984: one called Gateway, and the better-known Forbidden Quest. The Pryority package is a large folder, Infocom folio-sized and complete with inner flaps along the bottom to hold the game materials in. Pryority's claim to I-F uniqueness was called "Artext", which incorporated a series of glossy artwork sheets in the game package (and also served as the off-disk copy protection -- details in the pics were omitted from the game text, a la the Tresyllian Castle brochure in Moonmist). ...leaving her visible to any and all prying eyes once the wrap was pulled off (yet another argument in favor of keeping games shrinked B-). 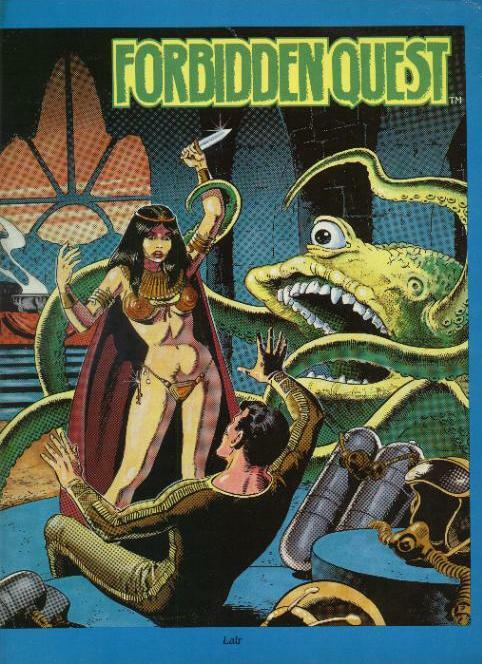 Another interesting side note: I know of one other collector who paid $400 for his (admittedly very rare) PC version. Cost of my Apple II version? $3.25. And people wonder why I don't collect PC-only.